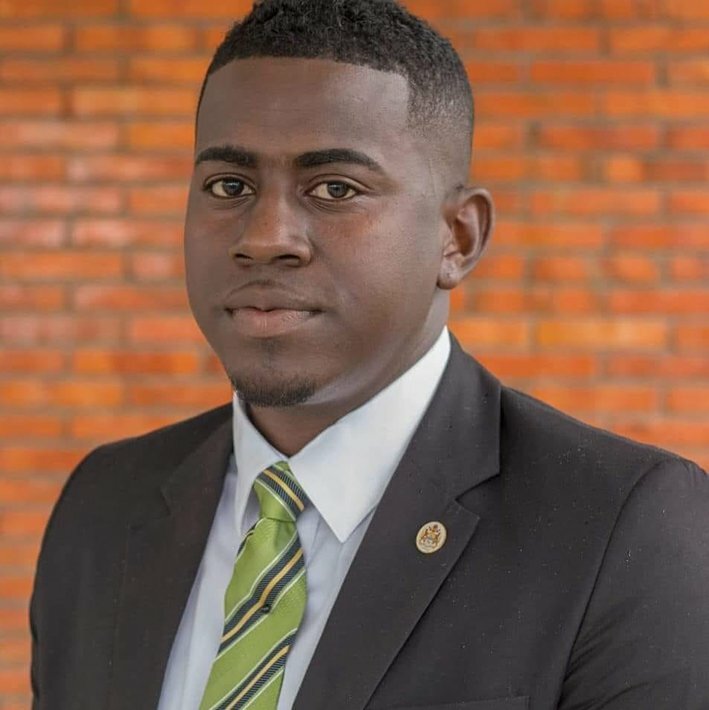 Seeking re-election as the representative of Constituency 5 on Georgetown’s City Council, Deputy Mayor Akeem Peter says his first priority if voted back in would be completing the handover of sections still to be served by the city council so that they could be developed. The area covers Sophia/Liliendaal North & South, Pattensen/Turkeyen North & South, and Turkeyen Central and Sophia/Pattensen Central. When residents of the constituency go to their polling stations for the November 12th polls, they will have to choose between Peter, of APNU, 21-year-old legal clerk Vashti Harris, of the AFC, and community activist James Hermanstein, an independent candidate, who are all contesting to be the area’s constituency’s representative. They are competing under the First-Past-the-Post component of the elections. Peter, 26, told Stabroek News that during his current tenure as council representative, many projects have been carried out in the community. 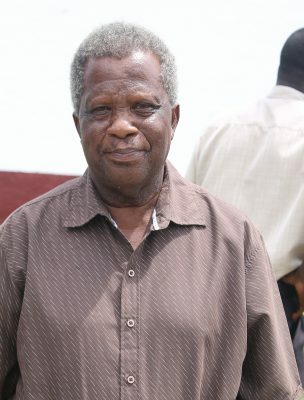 He said that while he was campaigning during the last local government elections, many of the communities in the constituency did not have roads, but they were done under his tenure as he lobbied central government to get them done. He added that a number of empowerment programmes for women, health outreaches, youth programmes and social projects have been carried out in the community in collaboration with the ministries of Social Protection and Public Health, as well as the Department of Culture, Youth and Sport and Non-Governmental Organisations. The Deputy Mayor added that if re-elected, he will continue to work to get the roads in the communities done, and fix the drainage issues. He also brought up the issue of security in the various communities. “We will be lighting up certain areas in the constituency in terms of street lights and also ensuring that each community has a functioning policing group. We are working with the office of the police commissioner to make sure those ideas become a reality within the coming year,” he said. However, some persons who reside in communities within the constituency said that problems still abound. One resident, who lives in Liliendaal, told Stabroek News that drainage is a major issue and that there is also a mosquito infestation in the area. The resident said that during the last campaign, they were promised certain things but no change has come. Another resident, who resides in Pattensen, told Stabroek News that their area is also infested with mosquitoes and the drains remain clogged. Peter, in response to the criticism, said that he has always made himself available to speak with residents. “Persons know where to reach me, especially for the last year of my tenure as deputy mayor. I have an office at City Hall,” he said. The Deputy Mayor added that he has held meetings at the ‘B’ Field Sophia recreational centre and has spoken to residents of the area. Harris, the youngest candidate for the constituency, told Stabroek News that though she is young, she does not feel her age will stop her from being a good council representative. As a first-time candidate, Harris related that she initially found it a bit challenging. “It was kind of a challenge but now, as I interact with persons, I’ve become more confident at speaking and socialising with them and now I’m more relaxed,” said Harris. The young woman stated that aside from the infrastructural work that every other candidate will use as a focus of their campaign, she also plans to pay attention to the youths of the constituency. She explained that this focus is because of the issue of delinquency in the communities that are part of Constituency 5. “I would like to help the youths because in our community, there are a lot of delinquents and I’m targeting those areas to decline the juvenile delinquency rate,” she said. Harris added that she would like to get those youths into trade schools and other programmes that would benefit them and, in turn, benefit the community. According to the young woman, she has received a great deal of support from the veterans in her party and even persons in the community. She added that she has learnt a lot from the experience so far. Meanwhile, Hermanstein, who is a member of the South Liliendaal Progressive Development Group, which has already undertaken some independent work within the community, is competing as an independent candidate on behalf of the said group. Hermanstein previously told Stabroek about the works that has been carried out in the community, which happened as a result of the group coming together and raising funds. The group, which is a registered non-government organisation, according to Hermanstein, carried out works such as repairing a walkway bridge and desilting canals in the community, all without the help of the current council representative. The works in the community were all completed as recently as July 2018, he said. The man stated that he plans to continue to work to improve the community for the residents.